Quick market update here as it relates to my post yesterday. The sell-off seems to have gained a reprieve at a major harmonic price level in the $7500 value area. At the time of writing this (1500 CST), Bitcoin is currently at 7599.99 and holding, with good volume. A quick look and review of this current price level is warranted. I discussed that there is a strong harmonic price level that could halt the downward move to the 7100 angle in the Square of 90. This also falls into an inner arc and this creates a very, very difficult zone for bears to attempt to sell through. And directly above price is a kerfluffle of resistance variables: angles, arcs and harmonic price levels. But let’s look at the daily chart. Holy Bullish Divergence Batman. 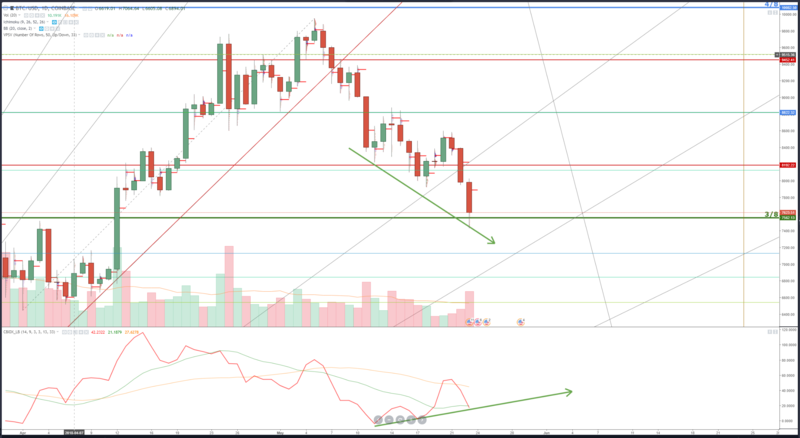 It’s a triple bottom divergence on a daily chart. Those don’t show up that often in cryptos, but when they do, they cause dramatic moves. The Slingshot Pattern forms when there is a convergence of price trading in a support zone and a divergence appears. It’s like a springboard. 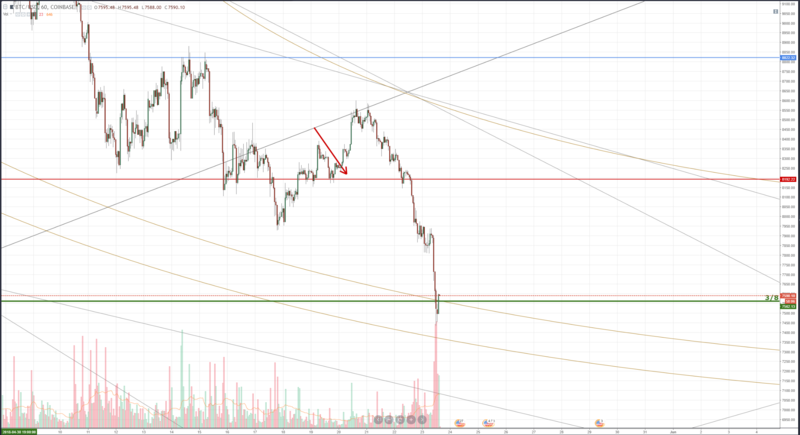 We need to keep our eyes on this Bitcoin chart over the next 24 hours to see how it will respond.